The Raspberry Pi audio player X350 USB audio card is super handy for the on-board audio jack of Raspberry Pi, you can just plug and go! 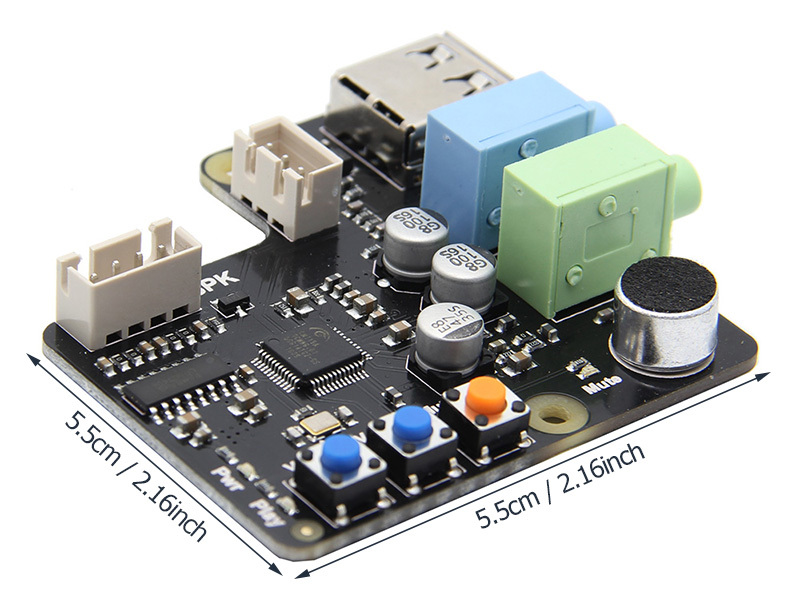 The raspberry pi X350 USB audio card player can improve the sound quality and volume greatly. The Raspberry Pi has an on-board audio jack, which is super handy for all kinds of sound effects and speech, just plug and go! However, for when you want better audio for music playback,This X350 USB audio card can improve the sound quality and volume greatly. You can DIY an external speaker using the 4pin speaker cable (in the package box), and control the speaker via the on-board button. In addtional, you can use it on the desktop computer, you only use one USB cable to connect the desktop computer and X350, and insert earphone into the X350, then you can enjoy the high quality sound. 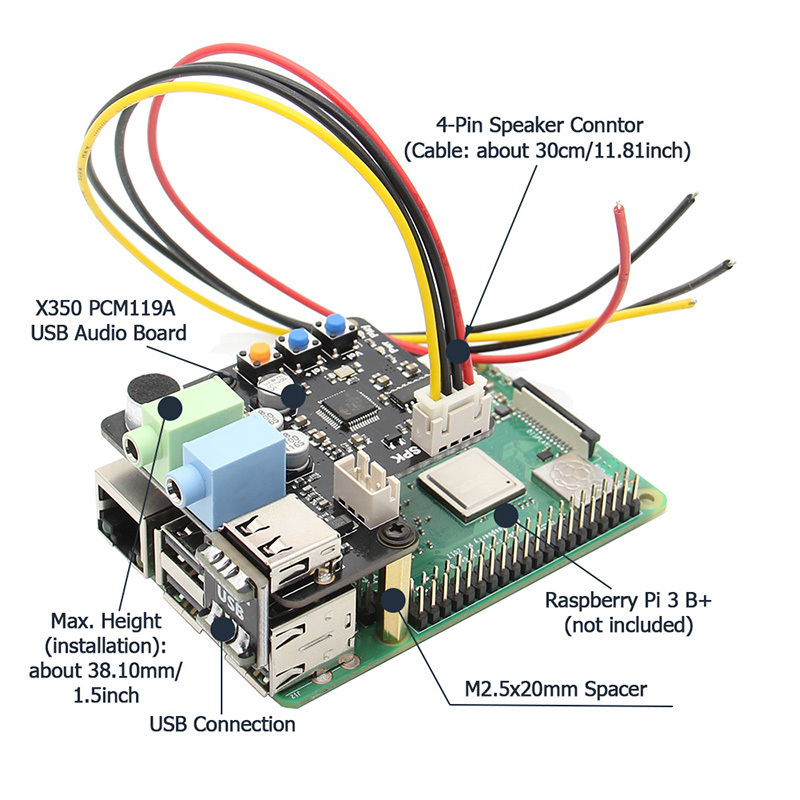 ​Note: The Raspberry Pi 3 Model B+ board and the earphone are both not included.